CARMEL, Ind. — While a MISO workshop last week fell short of defining potential market rules for energy storage devices, it did provide stakeholders an opportunity to hash out their thoughts on a technology that straddles the boundaries between generation and transmission. 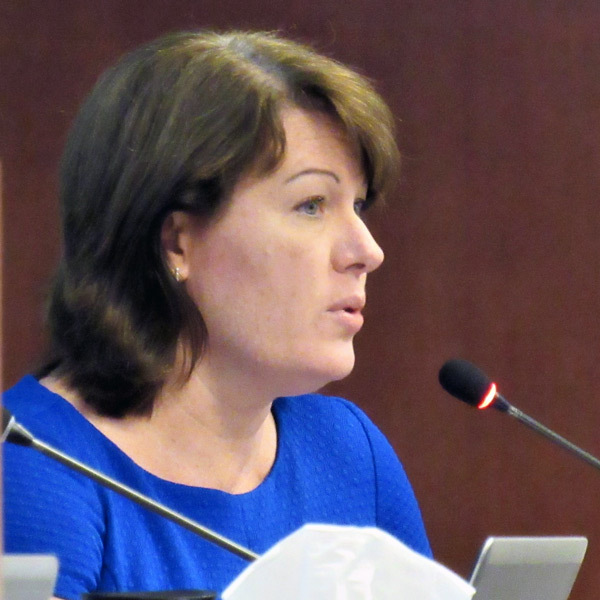 At the second — and likely final — workshop Aug. 24, MISO took a stab at providing structure for addressing the complex issue by suggesting which committees should field various storage proposals. 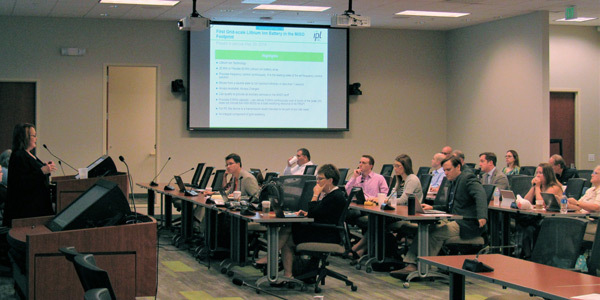 MISO assigned Chief Compliance Officer Joseph Gardner to serve as its liaison to the newly created Energy Storage Task Force, which will gather ideas that could eventually become proposals at the Resource Adequacy Subcommittee, Market Subcommittee, Reliability Subcommittee and Planning Advisory Committee. The RTO suggested that the PAC could handle storage interconnection methods and possible transmission cost recovery, while the MSC would tackle compensation rules. Either the MSC or RSC could work on the creation of no-harm tests, operating traits and market participation models, while the RASC could undertake capacity accreditation rules, said MISO Executive Director of External Affairs Kari Bennett. But discussion at the workshop focused on the beguiling and intriguing issues around storage — and how to accommodate the increased adoption of a resource that defies MISO’s current market categories. The RTO currently has about 140 MW of battery storage requests in its interconnection queue. Lin Franks stressed the future importance of storage resources in MISO, saying she’s become a battery convert since volunteering to head the energy storage division at Indianapolis Power and Light. IPL’s Harding Street Station was MISO’s first battery storage facility, commencing operation in May 2016. The facility can continuously deliver 5 MW for more than four hours, as well as move from a neutral state to full injection or withdrawal of energy in under one second. It serves only primary frequency response, reacting to unanticipated deviations. “The faster you can solve the [frequency] degradation, the fewer megawatts you need,” Franks said. Like all grids, MISO’s system was designed with control in mind, Franks said. Recent additions of rooftop solar and wind generation can erode that control, but autonomous storage resources can mitigate those risks and provide more resilience. Franks urged stakeholders to educate themselves on stored energy resources. “Real-time operators don’t like change. They know what works and they’re comfortable with it. … Just like you, I see some arms crossed out there,” Franks said, teasing the audience. Franks noted that MISO and state and federal agencies are still working out policy details around storage, including capacity accreditation, facilities agreements, state-of-charge management, interconnection conditions, removal of Tariff barriers and clarification of state versus FERC jurisdiction. She also recommended that MISO lay out an “expedited path” in its annual Transmission Expansion Plan for storage resources. Franks recounted the confusion Harding Street caused upon entering MISO’s interconnection queue in 2014. “None of us knew how to model these at the time,” she said, adding that the RTO eventually settled on modeling the battery at its maximum injection and withdrawal. Each of the storage array’s eight 2.5-MW cores contain more than 20,000 data points captured every two seconds and used to manage the state of charge, which IPL currently handles. But state-of-charge management could be passed to MISO. 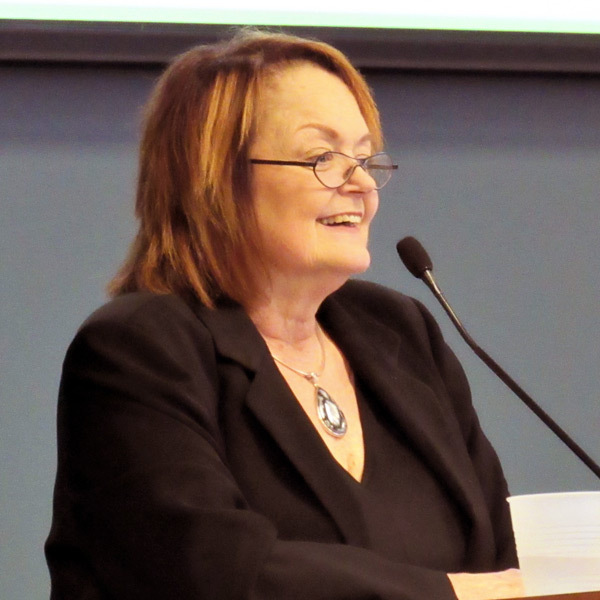 “There is the perception among some at FERC that having the RTO manage the state of charge creates a conflict of interest,” she added. Stakeholders asked MISO officials how its markets could permit storage to serve two masters ― generation and transmission services. RSC Chair Tony Jankowski, manager of electric system operations at We Energies, wondered how MISO could possibly allow a storage resource to switch between participating as a generating asset or a transmission asset using the RTO’s existing “clunky” market process. “These things are slicker than snot and can do a lot of things in a very short period of time,” Jankowski said, adding that MISO might accommodate the chameleon-like nature of storage with an “either/or” asset registration. Indiana Utility Regulatory Commission staffer David Johnston said asset registration raises a question of whether storage resources must enter the RTO’s generation interconnection or the MTEP process. “I think these are all good questions,” said MISO Director of Planning Jeff Webb, who added that he could not yet venture a guess as to the solutions. One of his concerns is keeping enough available capacity on hand if storage can register as both capacity and transmission assets. “But none of these [questions] are showstoppers. It’s just how to manage them,” Webb said. “Whatever the process, I don’t want to halt the progress of these Lego blocks, as Lin called it,” said DTE Energy’s Nick Griffin. Multiple stakeholders said MISO’s storage models must account for every kind of storage, from the more common battery storage to flywheel to compressed air to pumped storage. Griffin pointed out that MISO is years away from modeling storage as both a transmission and generation resource. However, Jankowski pointed out that storage modeling could be simplified by distinguishing between synchronous and inverter connections. While Franks agreed, she countered that a lot of information may be necessary at the onset of market storage participation. “This is new to [MISO operators], and until they get comfortable, they’re going to want to see more than less — and that may not take very long,” she said. American Transmission Co.’s Bob McKee said it would be helpful for MISO to create a price menu showing the current compensation provided for possible storage-sourced services like energy arbitrage and frequency response. “I think it’s fair to say if we did that now, we’d have a lot of question marks in there,” Bennett said. “That’s fine. This [menu] would tee that up,” McKee said, and other stakeholders agreed. Indianapolis Power and Light complained to FERC that its battery at the Harding Street Station is supporting the MISO grid without any way of being compensated. The MISO Market Subcommittee discussed FERC's recent order on energy storage and December's spike in revenue sufficiency guarantee payments.